When I went to China a few years ago, I didn’t think of Beijing as a city with a thriving arts community. More of a temple/palace/Great Wall kind of place. 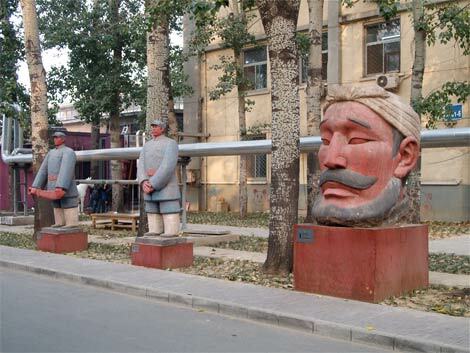 So I was surprised when I got off the bus in Beijing’s Dashanzi Art Zone. Also called “798,” the neighborhood is a virtual Disneyland of playful murals, outdoor sculptures and aromatheraputic galleries.